Looking for a houses in Tenerife? We offer a vast array of houses for sale in Tenerife. 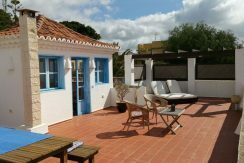 Houses of different prices with an excellent location in Tenerife. Searching houses for sale in Tenerife has never been more convenient. With Advartis Tenerife Property, you can easily browse through Tenerife houses for sale and quickly get a general perspective of the real estate prices. Also, you’ll never miss a bargain if you filter listings based on property price. Advartis Tenerife Property gives you far more than a simple list of houses for sale in Tenerife. Get instant access to a lot of relevant information about Tenerife real estate, including property descriptions, maps and photos. The search results pages also have a wealth of information on Tenerife. Use the map view to find Tenerife houses for sale, based on amenities or city features that you may want close by. You can close in on a specific neighbourhood. If you’d like to get in touch with a professional, agents are displayed next to their listings, and they’re easy to contact through the online forms. Visit the Advartis Tenerife Property blog and you can find up to date expert advice on many markets throughout Tenerife, regular market reports, neighbourhood scoops in cities and useful recommendations.